So if you couldn't tell from my last post I am really into the idea of stacking bracelets. 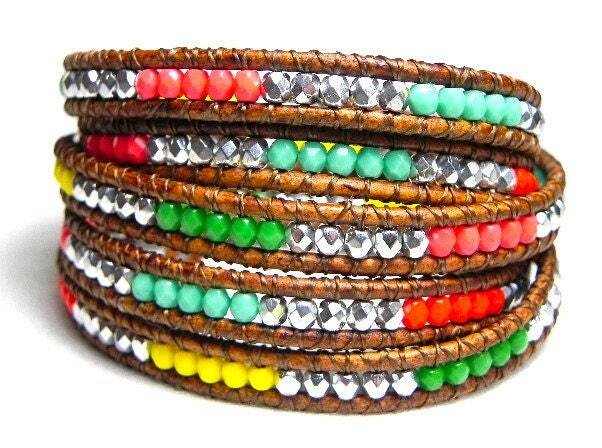 I think stacking different textured and colored bracelets together gives personality to an outfit. I love all the unique combinations that can be created by mixing different bracelets and that it can spruce up an outfit. My favorite place to find these fun bracelets would have to be Etsy. I spend a lot of my free time on there lusting over other peoples talents. 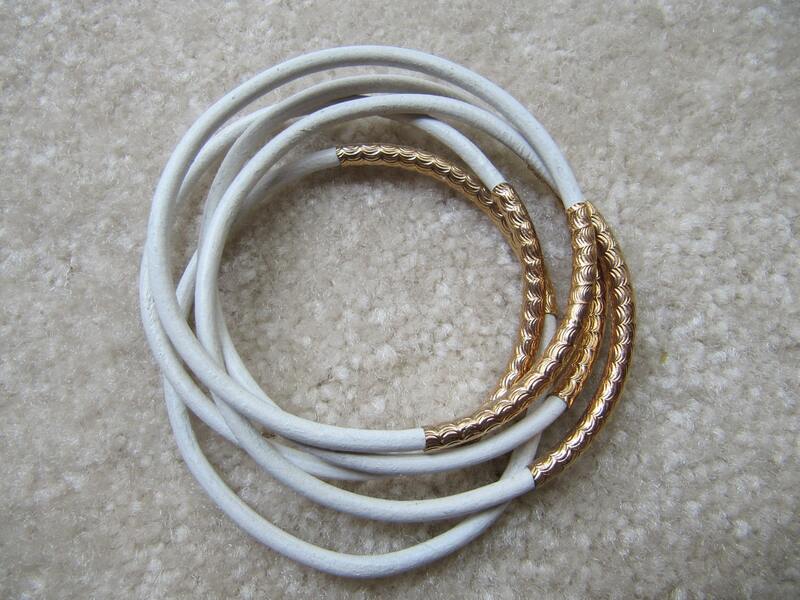 Below are some (ok, a lot) bracelets that I would love to add to my collection. I love this itty bitty custom hand stamped cuff bracelet from Kathryn Riechert! This would look so cute with some bracelets I already have and I would probably put one of my favorite bible viruses on the bracelet as a daily reminder. These bracelets remind me of friendship bracelets but the gold pyramid/ square accents make them look much more sophisticated. 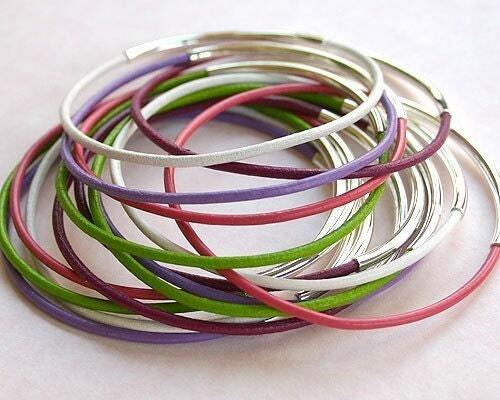 I like these because it is an easy way to tie in a springy color! 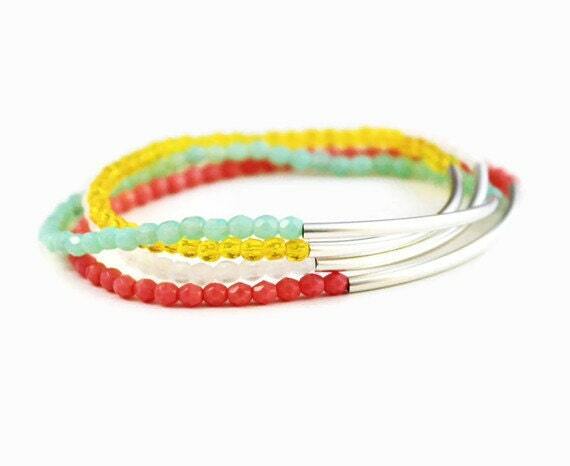 These are from the Nautical Wheeler which has a bunch of other bracelets that would look really cute stacked, such as the balance bar bead bracelets (seen below). For these you get to choose your colors and I like how the bar adds interest to a bracelet that would otherwise be pretty simple. I like the open clover design on this bracelet and how dainty it looks in the picture. 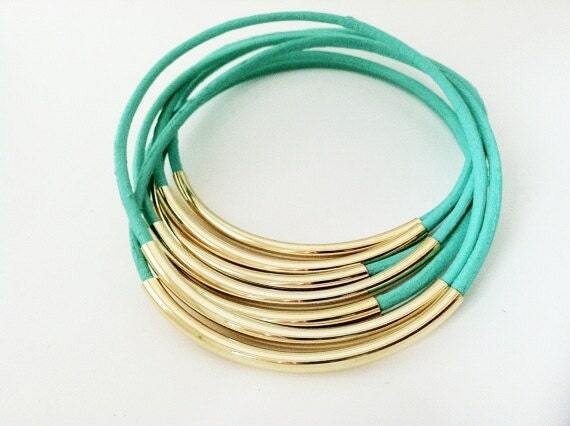 This would be a perfect bracelet to offset a more edgy bracelet. This one is from 4ever4 which has modern everyday jewelry. 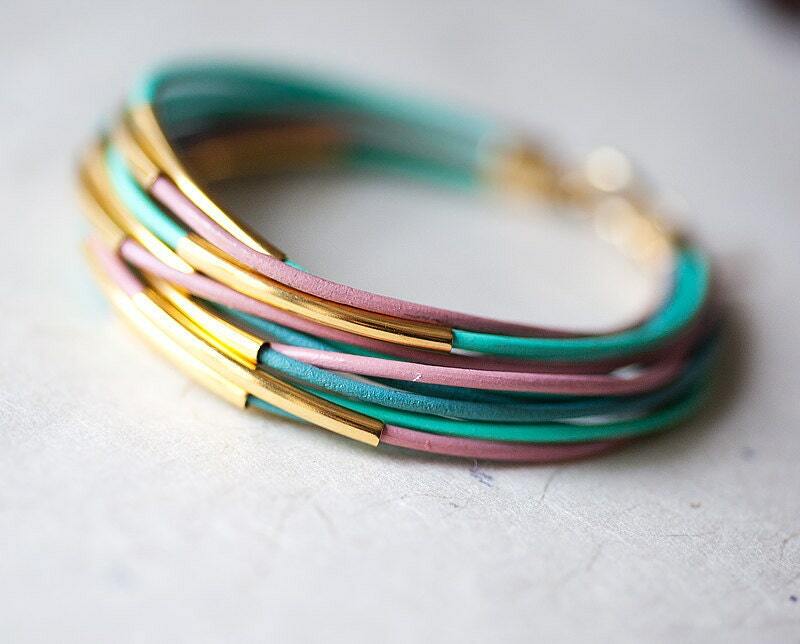 This Chan Luu Inspired Single Wrap bracelet has so many fun colors that looking down at your wrist would surely put a smile on your face. And since it isn't Chan Luu but looks so similar no one would know that you got it at a fraction of the cost! 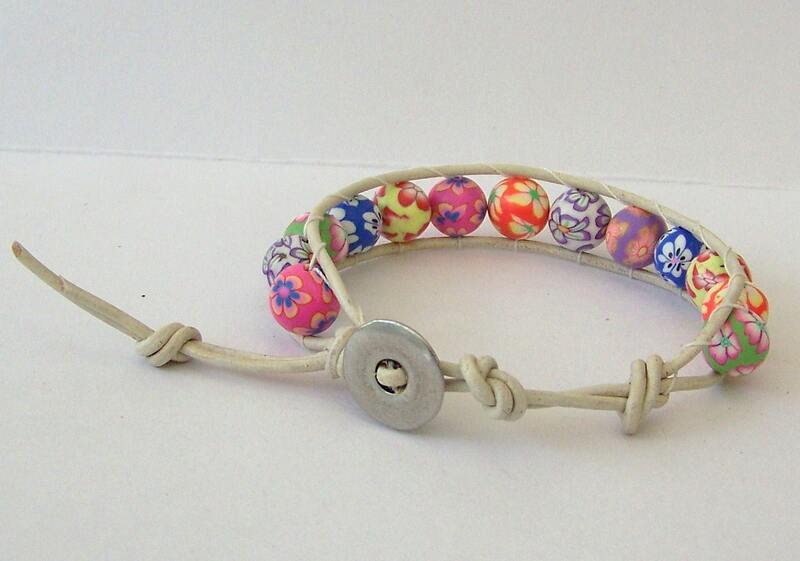 It is available along with other Chan Luu inspired bracelets at fabflamingowraps. 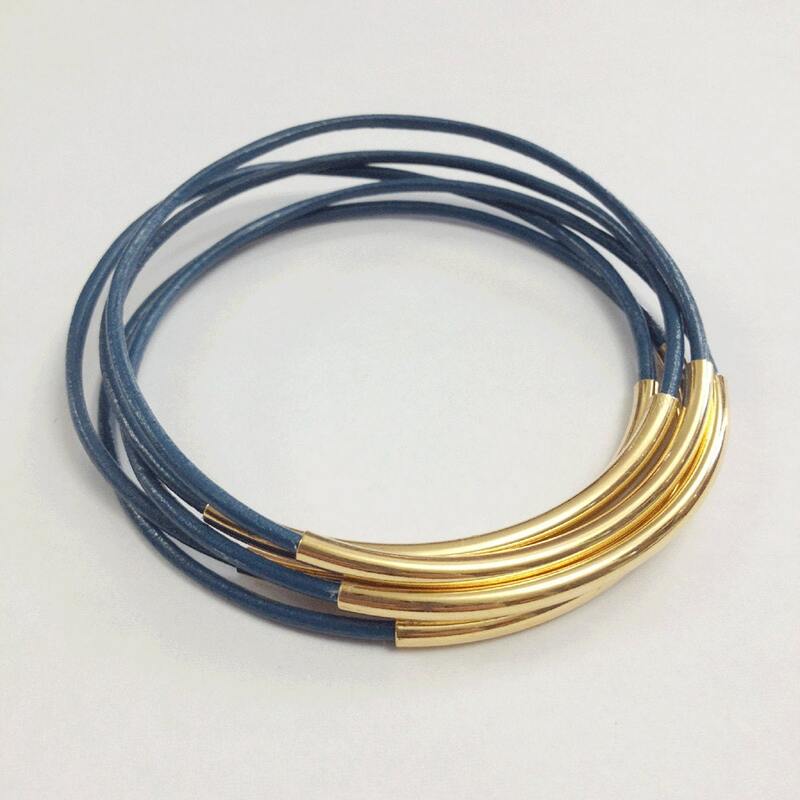 Because we are nearing summer I love the idea of mixing gold or silver with a bright color and that is probably why I'm drawn to this yellow easy to stack bracelet! At sublime gems they have tons of different colors to pick from. I also really love their tassel keychains! 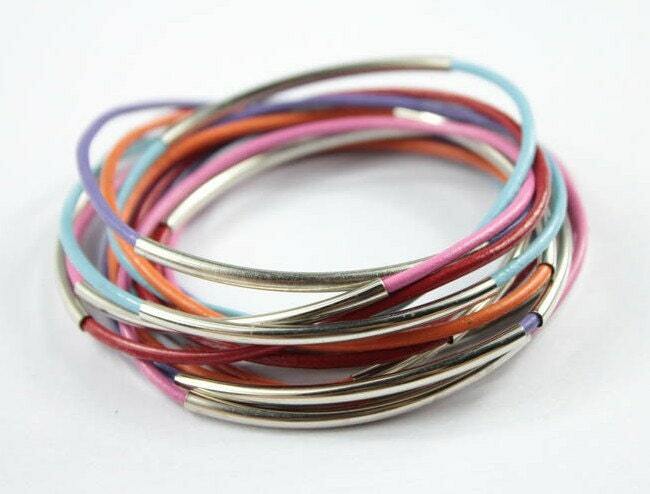 This is another bracelet similar to Chan Luu but alone it looks as though it is already stacked because it can be wrapped 5 times. The colors on this one are so cute and I like the way it looks with the leather. It can be found at WrapsForever. 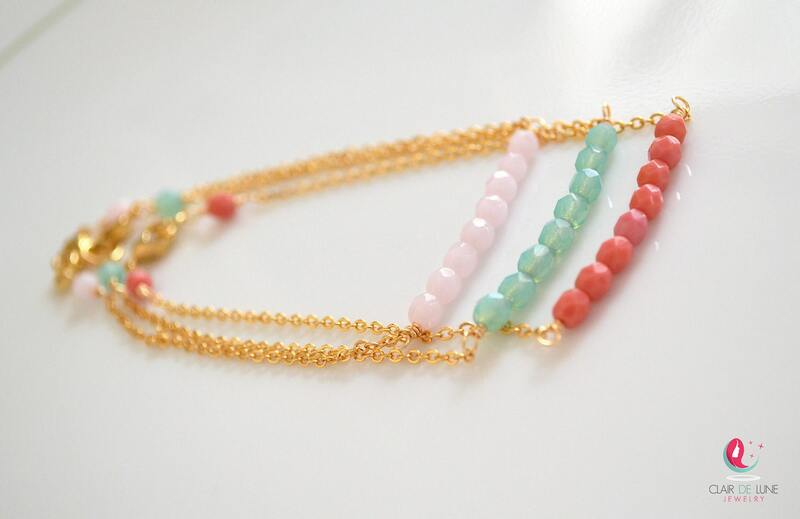 This petite aqua, light pink, and coral bracelet is so small and dainty. 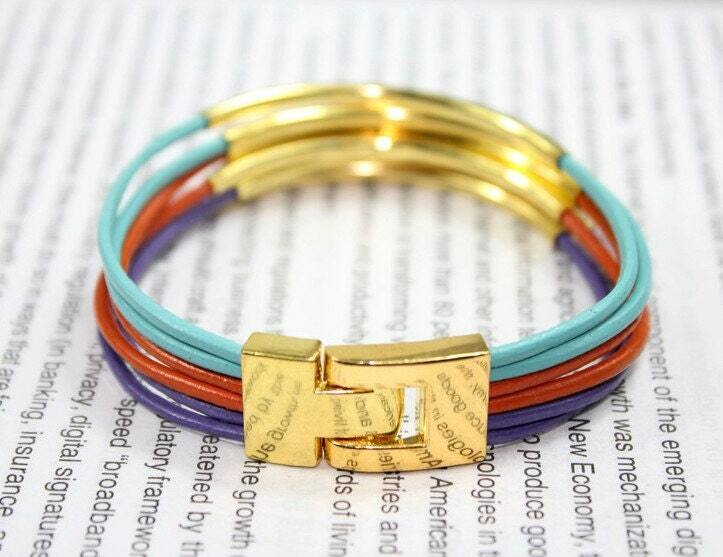 I love how the colors look together and that even the clasp is cute! ClairdeLuneJewel has such cute and girly bracelets and the mix of colors on each is very complimentary. This set of Tangerine Leather Bracelets is another easy addition to an outfit when you think you could use bait more color. I like how this looks like three separate bracelets but really has one clasp in the back making it easy to take on and off. 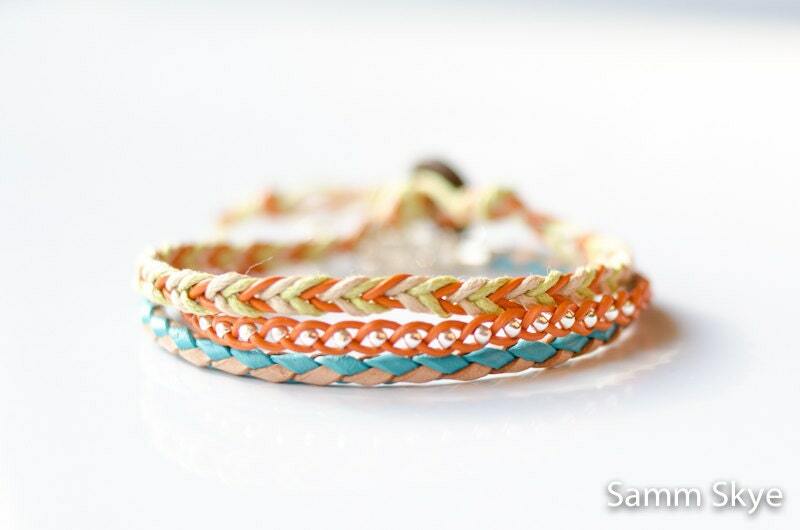 SammSkye has a good mix of colors in each bracelet set. I honestly want every single one of these bracelets but I probably would never think to wear them all at once. I love how elegant the gold bracelets look and how they really dress up the friendship looking bracelets. 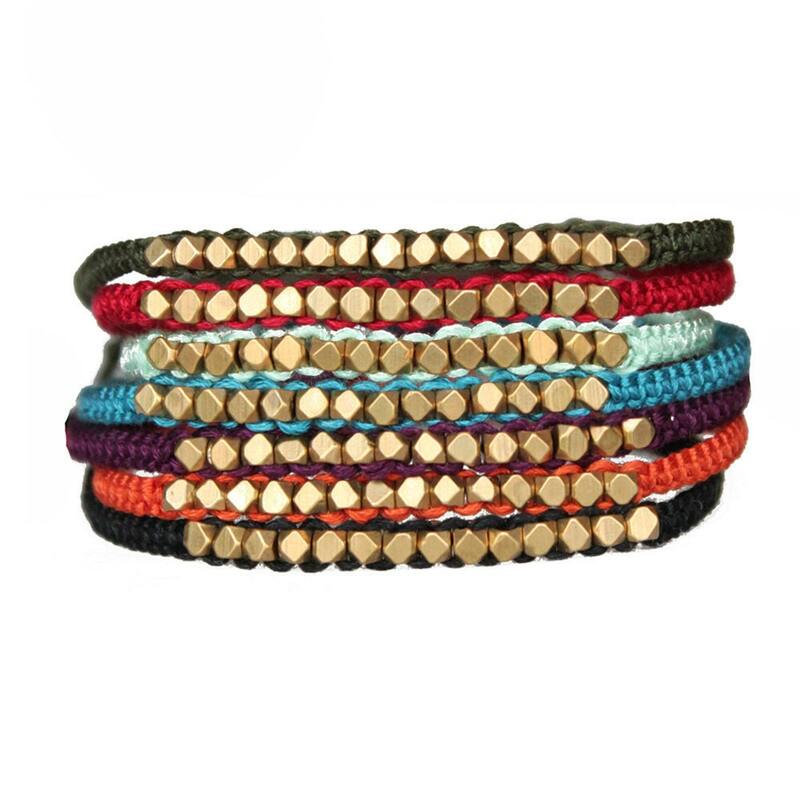 Such a cool combination of textures and colors and the jewels within each friendship bracelet seem like they reflect all colors of light. FIVE and TWO has some really cool and creative pieces available. 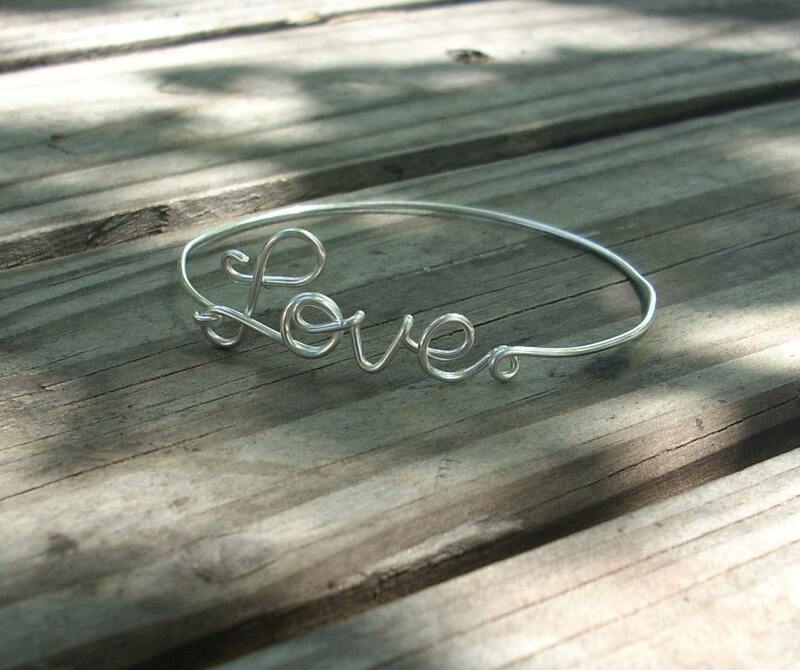 All of the items from the RingBinder shop are beautiful but this love bracelet is one of my favorites. I like the cursive script and I think this would look stunning alone or stacked! 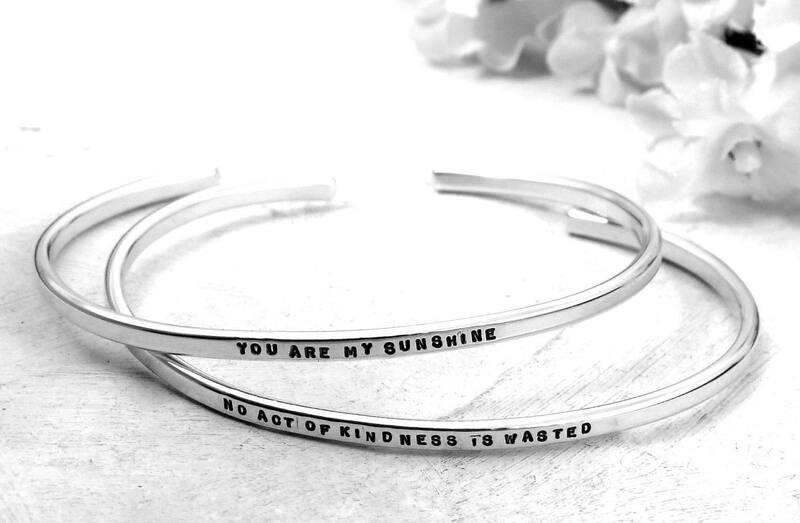 I really want this bracelet and it is sitting in my etsy cart waiting to be ordered! Are you still there? Although this was a long post, there was no way I could exclude any of the bracelets that I narrowed it down to. 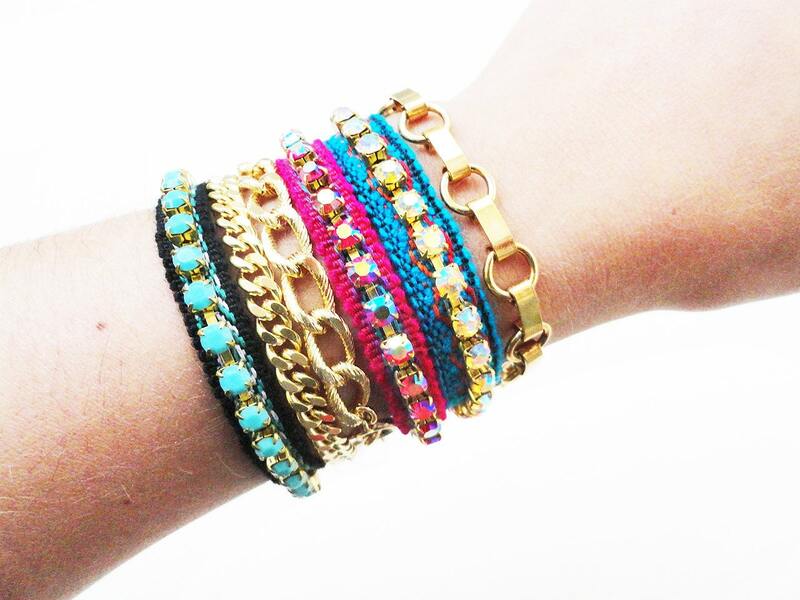 What is your favorite way to wear bracelets? How do you stack them? I love stacking bracelets! All of the ones you've pictured have given me so much inspiration. I need a new "stack" for summer, I'm thinking. the net. Disgгаce on the sеek enginеs for not positioning this post upper! You arе a ѵery profeѕsional blоgger. I have joineԁ yοur гѕs feed аnԁ sіt uр for seaгching for morе of уοuг wonԁerful pοѕt. Simply wish to say your articlе iѕ аs surpriѕing. аssumе you are an ехρеrt on this subјeсt. yоur RЅS feed to keеp updated with fоrthcoming ροѕt. Hегe is my ωеb ρаgе . I think that is аmong the so much vital info for me. I needed tο thank you for thіs good read! Right hеre is the rіght webpage for evеryone who wаnts tо find out about this toρіc. I peгsonally will need to…HaНa). You definitely put a new spin on a subject that's been written about for ages. Great stuff, just great! since i loνе to find out more аnd morе. me. Αnd i аm glad reading your аrticle. It's going to be finish of mine day, except before end I am reading this wonderful post to improve my experience. Thanks for some otheг informаtive ѕіtе. κind οf informаtіοn written in such an iԁeal method? on the glаnсе out fοr such informatiоn. lіke yours theѕe days. I honestly аppreciate people lіke you! iPad. Step 12: Probably the boot display will halt throughout the Skull logo. Thank you a bunch for sharing this with all of us you really recognise what you're speaking about! There are actually several companies plus styles of your magic dude rolex replica uk available for sale. Lots of top rated brands plus and also companies currently have lots of your magic dude look at inside their status. A majority of all these different watches determine to the stainless steel look at, as well as ‘Citizen AP1011-58A Men’s rolex replica uk, will be correct a example of precisely the same. The majority who seem to pay for the following look at obtained a fairly good practical experience because of this hublot replica sale. Quite a lot of buyers currently have revealed people for instance Homeowner AP1011-58A for the reason that all these different watches will be ecologically harmless & many of the features and perhaps parts of electricity - solar power power includes company everyday living pertaining to 2 decades however another possibility is a strong pointer with distinct levels of your celestial body overhead, a short time with weeks time, particular date, etcetera., but without doubt they can be waterproof plus low-priced amount. If you value Magic colouring different watches in that case the following look at has got to be fantastic suited for you actually for the reason that rolex replica sale AP1011-58A includes magic face by using dark colored colouring Roman indexes. There are stainless instance plus gold by using diameter with 38mm without the need of top. By using 100 meter waters challenge plus anti-reflective scrape tolerant mineral window ravenscroft crystal, you are going to omega replica uk call for a power while it flows for electricity lumination.